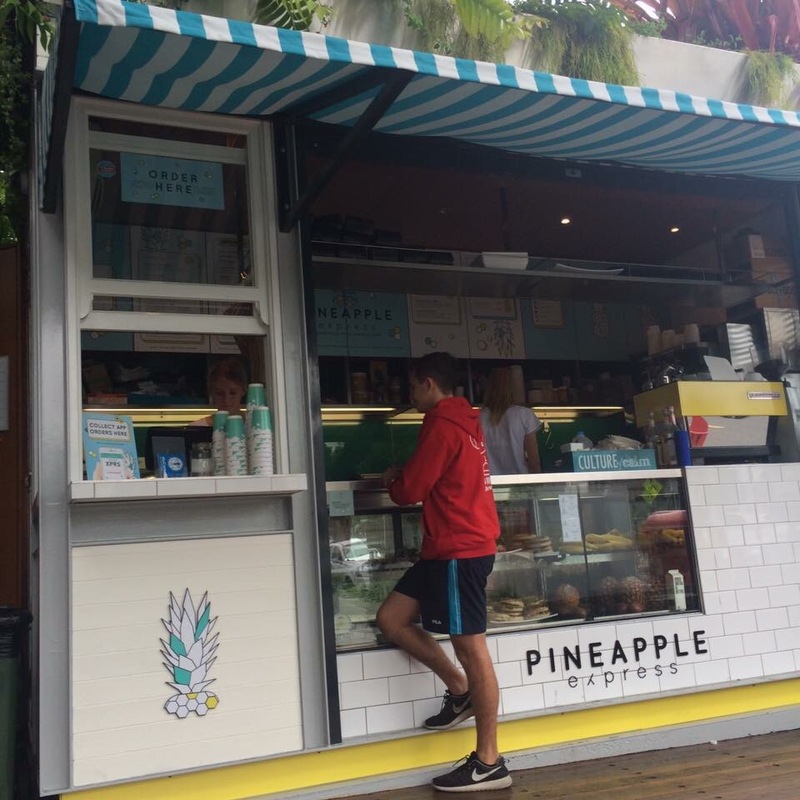 Pineapple express is definately taking the express route through Brisbane. They have been open less than 6 months and they are already opening a new stop in bustling James Street. Well what do we have here another avo-t to add to our growing bible. 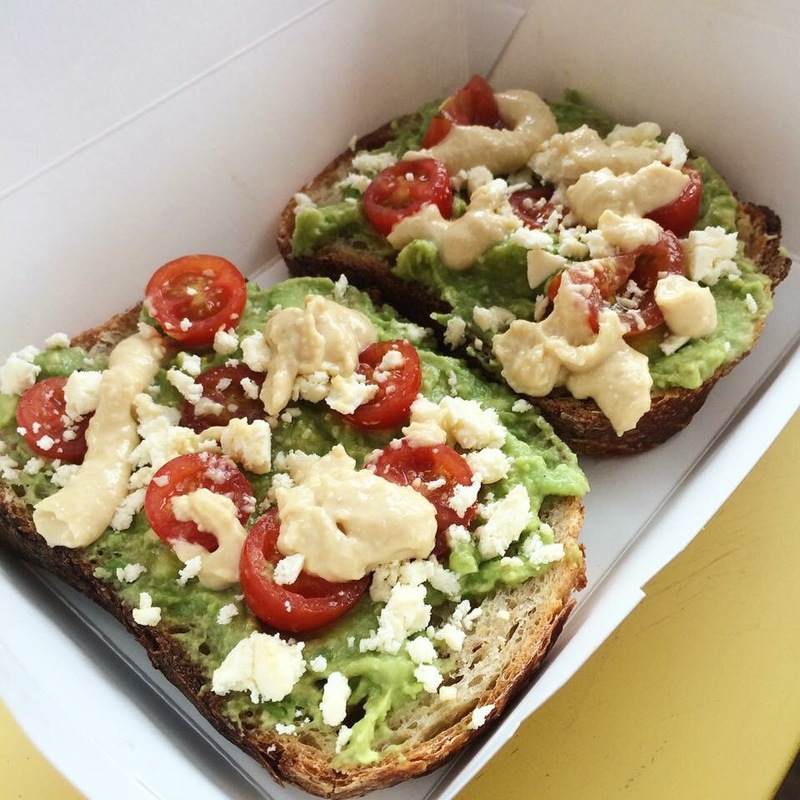 This toast came topped with avocado, hummus, tomato and feta. 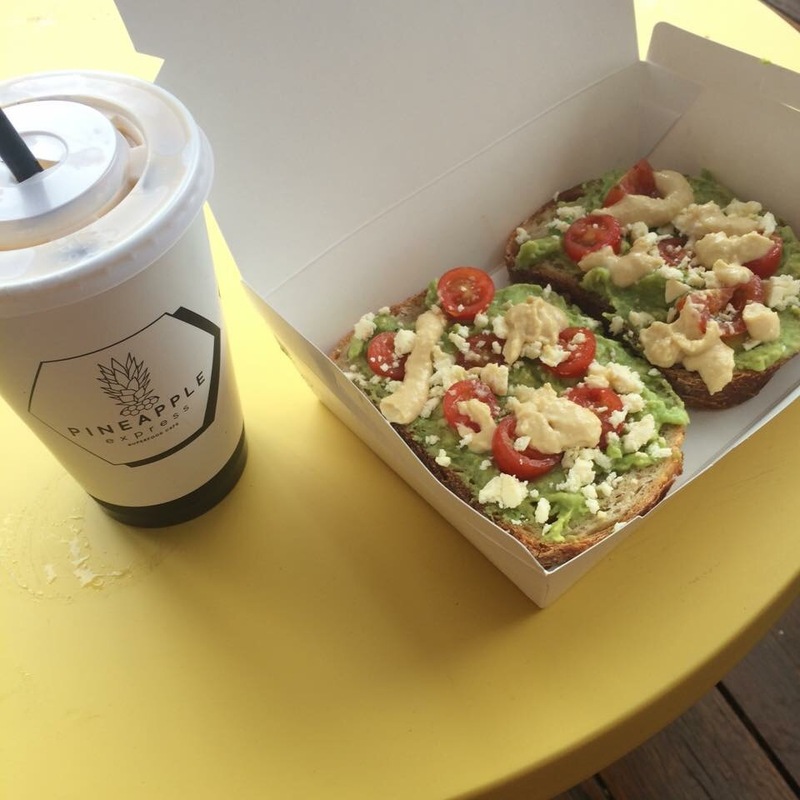 Hummus was a nice addition although the toast could have been a bit toaster. 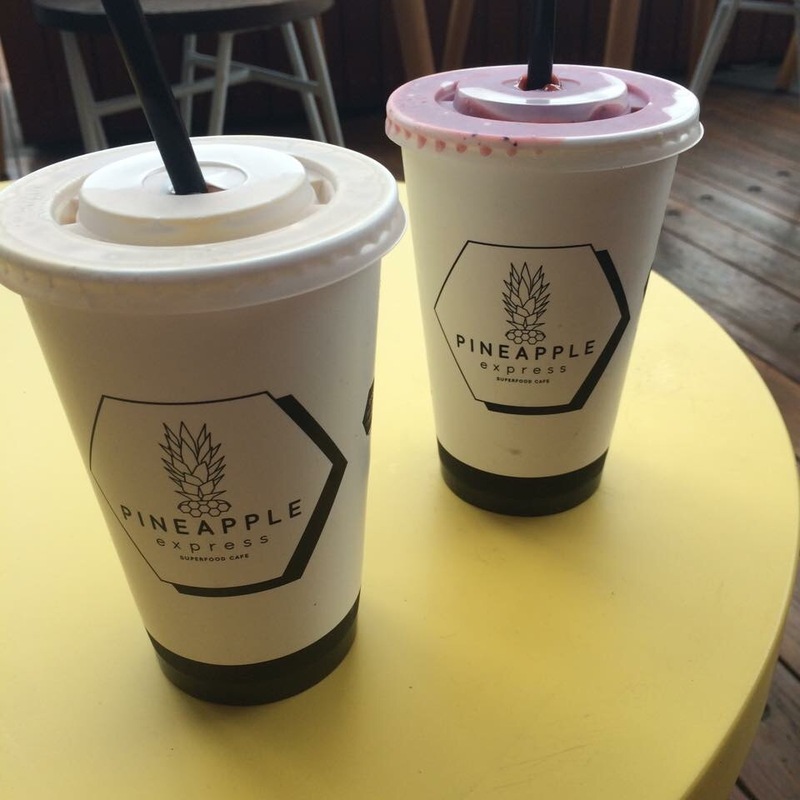 Pineapple Express know they are onto something good so most of the menu is the same between both stores. They are using Campos coffee and the iced coffee I had was tasty although a little heavy handed on the vanilla. We also had the Titanic Smoothie (berries) which was delicious and such a generous size. It was early on a Sunday morning and the superfood box did look a little over staffed – not that we were complaining with super speedy service. I think it will be a bit tricky to work out staffing early on but definitely better to be on the safe side. They open 7 days a week super early too – 5.30am! The Pineapple Express Superfood Box replaces Press’d it is small but great for grab and go items. The seating is comfy and stylish although would be very hot in the middle of the day. The Verdict: So glad to see Pineapple Express playing on their strengths and expanding just in time for summer. Can’t wait to come back. Overall: 9/10.